CFM was established in February 2001 as a society with representation from all relevant parties, including the “supply and demand” side of the communications and multimedia industry. 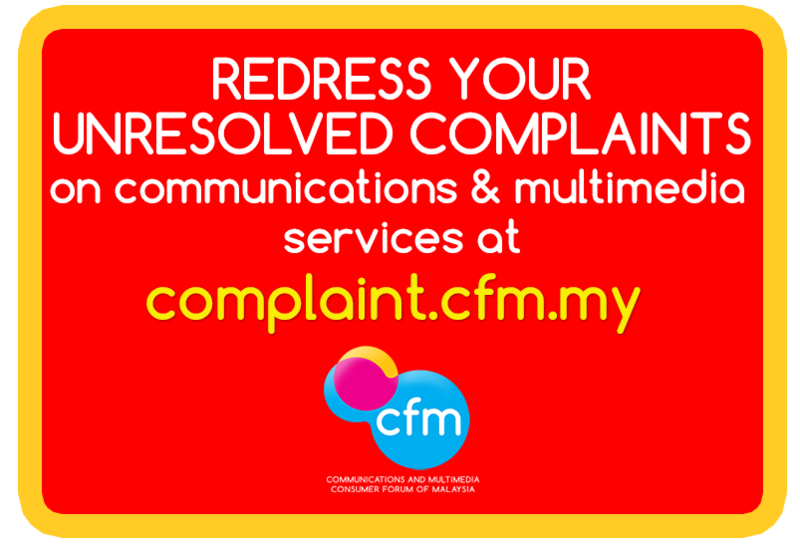 It was designated by MCMC as the Communications and Multimedia Consumer Forum in 2002 to protect the rights of consumers of that sector. This is in line with the requirements of the CMA which facilitates industry self-regulation. As a designated forum, CFM is tasked with, among others, the preparation of consumer Codes that would be used as a base guideline for the provisioning of services by the communications and multimedia service providers. The General Consumer Code (GCC) was accepted by MCMC as an industry Code in 2002 along with the Internet Access Code. CFM reviews and updates the GCC every 3 years. An annual report is also available on activities and progress of CFM. Please check on the website to download or write in to enquiries@cfm.my to obtain a PDF copy. To download the latest copy of our annual report, please click here. To be the C&M advocator of consumerism & platform for mutual exchange of information for the benefit of consumers and the C&M industry as a whole. To draft, develop, prepare, amend, modify, review and update the Codes. To advise the Council on legal requirements and considerations. To enlist and update membership of CFM. To promote the objectives and publish the activities of CFM and to provide avenues for dissemination of public information and education regarding consumer rights. To provide avenues for lodging complaints relating to consumer matters. To provide for procedures for handling complaints and grievances and to recommend solutions for the resolution of such complaints. To enhance the understanding of the General Consumer Code (GCC) among service providers, to promote adoption of GCC in service providers’ procedure, practices and policy, to ensure a high level of compliance with GCC and to prepare the industry for self-regulation.